Hard to express in words the feelings and emotions I felt when visiting the Kelly Center for disabled children here at Hope of Life. There are very few places like this in the entire country. We were struck with the clean accommodations and the dedication and love of the workers for these helpless little ones. There is even a therapy pool in the rehab room! Maria, a simple deaf girl was raped and gave birth to a baby boy but had no clue how to care for him. The baby was put in the hospital and the nurses taught her how to hold and feed him. Maria visits him everyday, he is four years old now, healthy and normal. Maria lives at HOL and has a job helping to care for the more severely disabled children. She is happy, loved and protected. Abandoned and sick children are sought out by scouts who travel through the mountains visiting the isolated villages and bringing these children, who would otherwise die, back to the hospital at HOL to be cared for and loved. 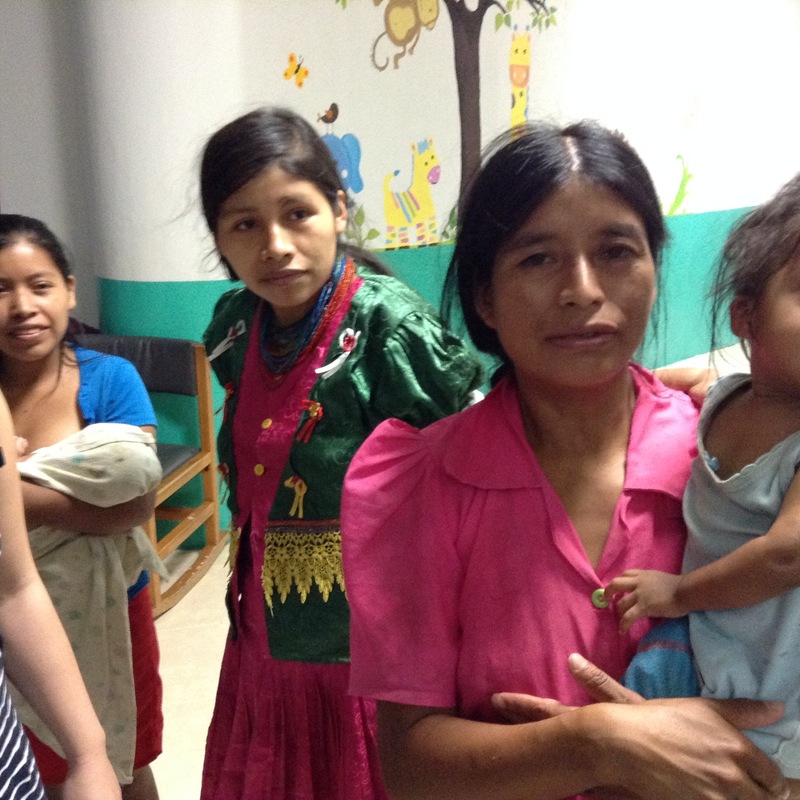 Some of the moms who come with their children while they are being treated. The Kelly House is only one project at Hope of Life. There is also housing for seniors with two sections, one for those with dementia or other problems, and one for those simply old with nowhere to go. Mike interacts with them all so well, he got this lady laughing pretty hard. 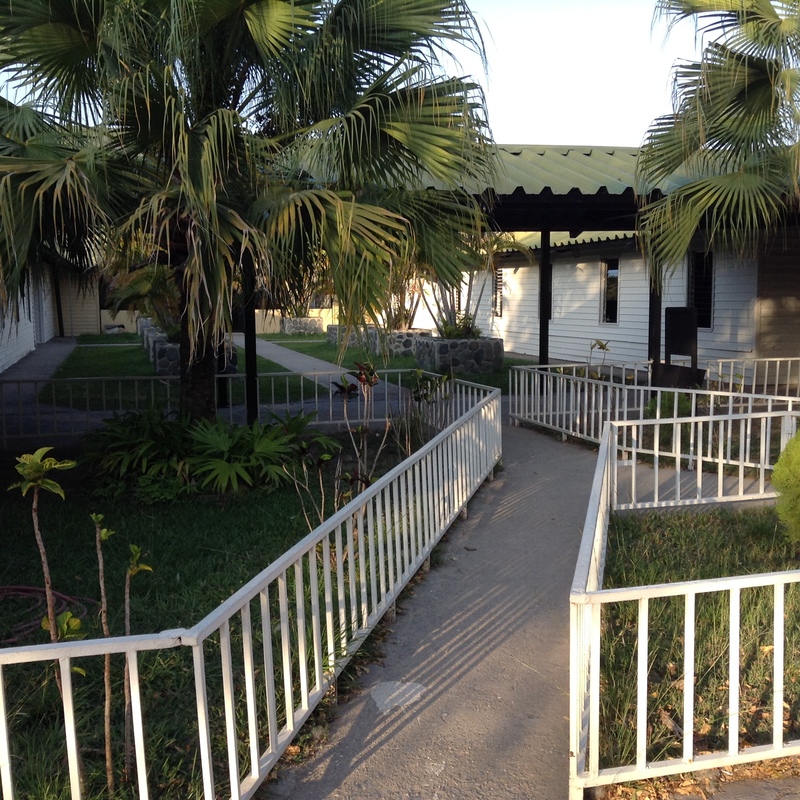 The seniors housing is on the original acre of land that Carlos bought 30 years ago. 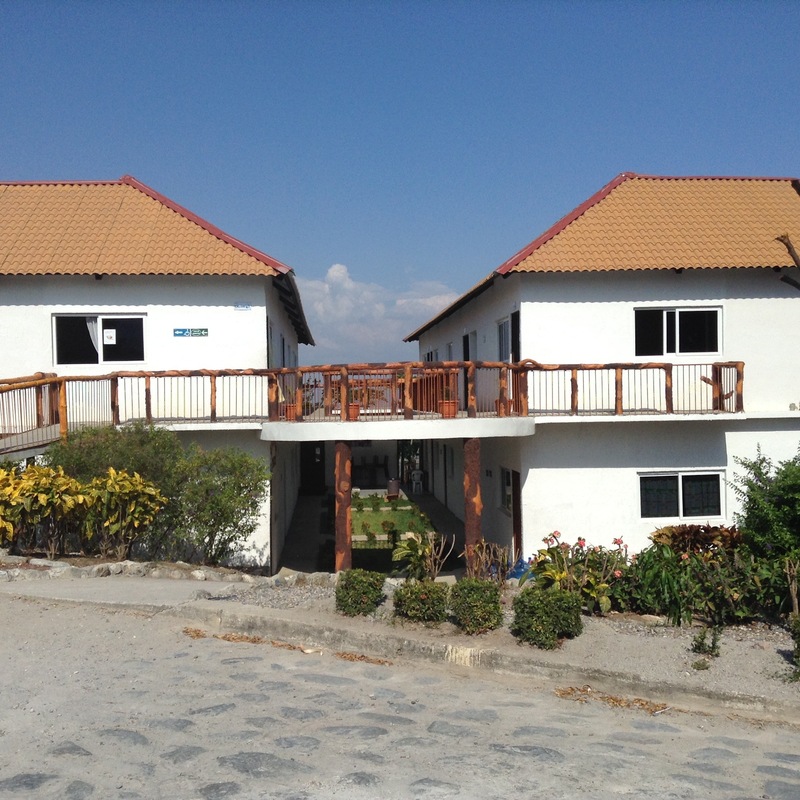 The Village of Transformation, high up on the mountain, was built by Jeff and 200 of his staff at Absolute Results (Jeff’s company) and their families who travelled to Guatemala and volunteered for a week of mission work. They demolished the old dormitories and built 15 homes over the next 19 months completing it in May of 2015. Each house has 8 children and a couple, some with children of their own, who take care of them. The men have jobs at Hope of Life or in the surrounding area to take care of their personal needs while HOL provides the home and food. To help sustain the village Jeff & Co. built a cattle operation to generate revenue and a daycare so the Moms can work. They also built a pre-school, a church and a rescue centre that can accommodate up to 50 abused or abandoned girls that are healing and who aren’t quite ready for a family yet. Jeff’s sister Cathy built the park and memorial in the Village. Jeff and his people also built the Maple Leaf House with 13 rooms for volunteers that come to work and they have sponsored over 200 baby rescues! The high school on the property has over 600 children attending. The quality of the school and excellent curriculum has caught the attention of wealthier people in the area. There are about 100 of these kids attending and the tuition they pay keeps the school running for the orphans from HOL and poor kids from the village that wouldn’t be able to afford to go otherwise. I asked how they all get along and apparently very well, that there is no problems between them, everyone is accepted. We were taken to one of 200 villages that HOL has helped to either repair or build an elementary school, a church, a well, a community oven, and a few homes for those in desperate need. They also try to help them be more successful at becoming self-sufficient. This little village was an hour straight up a mountain gravel road liberally scattered with pot holes. We travelled single lane with the mountain on one side and a sheer drop on the other – not for the faint of heart. We were the only ones on the road the whole way which was good because I’m not sure how we would have passed each other. It would be impassable during the rainy season. There is sponsorship for children to go past the basic free schooling of 6th grade but to go to high school they either have to pay for the hour ride down the mountain and then back up everyday which is way too expensive or walk which takes 4 hours one way, not realistic. At the moment this town has a teacher who comes up to teach from grade 7 on, so some of the girls we talked to, who are now in their twenties are getting to finish grade 9 and one has a dream of becoming a teacher. Taking advantage of the ride back down the mountain! The next day we went to the dump where people scrounge through the garbage all day under the blazing sun to eke out a living. Not only is there the risk of getting cut by broken glass or sharp objects, but the garbage is being burned and they are continuously breathing in that smoke. We dished out food to women and children and the kids got measured and weighed. 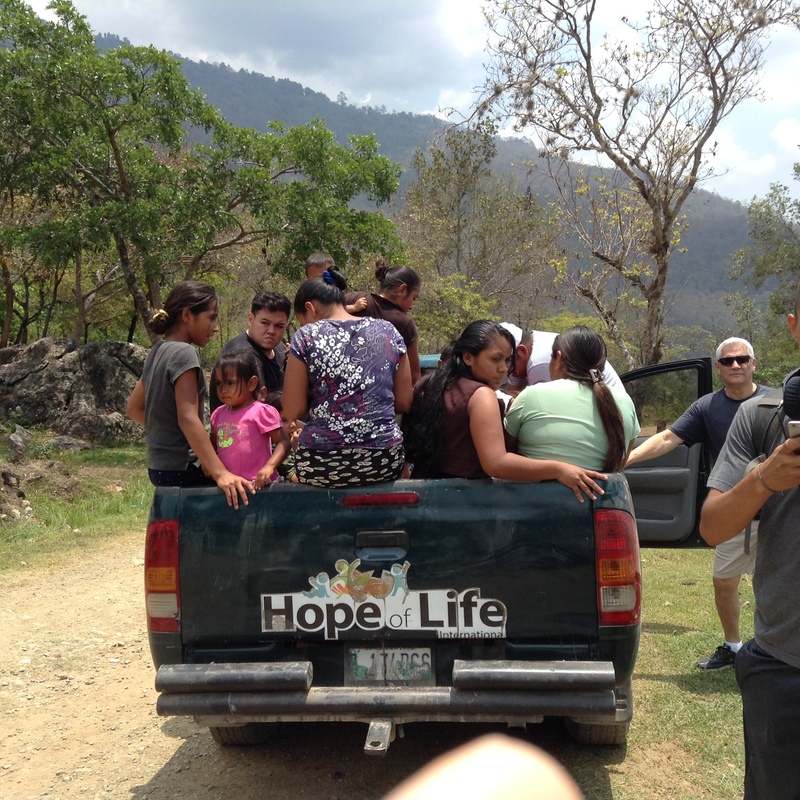 HOL feeds 1,200,000 people every month in various villages and at several dump sites! Typically the kids who live on the dump don’t go to school, their parents need their help in the work of sorting through the garbage for recyclables and looking for anything of value to re-sell. Carlos has offered to give them one meal a day if they will let their kids go to school. This has reduced the number of families that live off the dump dramatically as the kids get educated and are able to read and write and get other jobs, often supporting their parents.